I've been on a bit of a decorating tear lately. This week, it's been all about the guest bedroom/office. 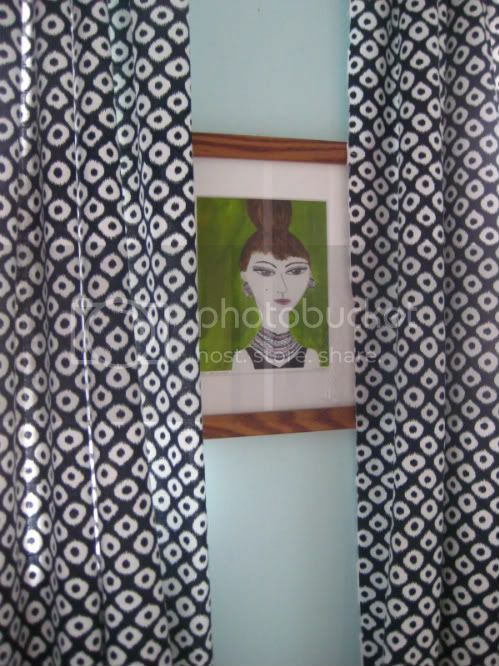 How great are these ikat curtains? I made them in about 1 hour last night, using this fabulous $5/yard ikat (from Jo-Mar, the most awesome fabric store ever, for those of you who live in Philly) and a roll of Stitch Witchery. I'm calling this room my 48-hour project. A year ago it was a super cute little bedroom and office. But due to laziness and storage issues, it turned into a giant, messy closet and has gone mostly untended since our wedding. But since Wednesday, I've cleaned out the boxes and junk and refreshed the whole space using decorative objects I had lying around the house. I did a quick recover of the headboard (please ignore the ugly air vent above it), using a scrap of fabric found at an Urban Outfitters sample sale. The pink and orange pillow came from that sale too -$3 - yay! - and the small peacock pillow was made for my wedding. The framed print is from Lulaland and was a wonderful shower gift that had yet to find a home. The Tord lamp and the Thomas Paul pillow were holdovers from the original version of the room, and the office supplies are from the Container Store and those adorable Liberty-esque storage boxes are from the Christmas Tree Shop. What a fun room! I really love all the colors and patterns together. I love every little inch of this space!!! So fun and vibrant! Very cute - guests don't want boring - they want something different than what they have at home! Well done! The room is really coming along! Great work. I love the framed pic in the first pic. Where is it from? Dear Elizabeth: How many yards of fabric did it take to make the curtains?? They are gorgeous! 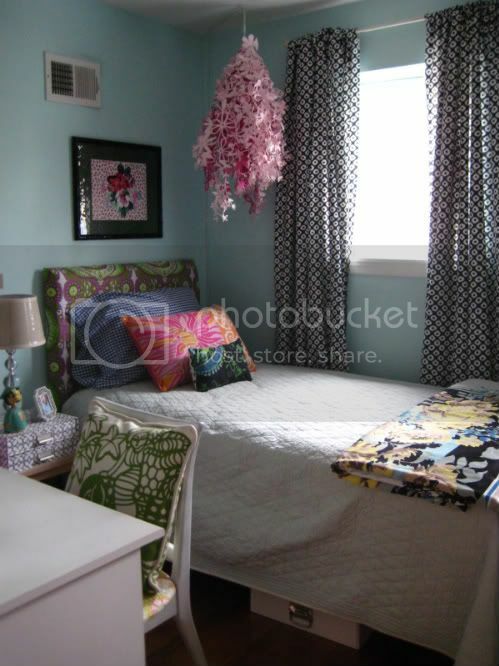 What an adorable yet fun room. 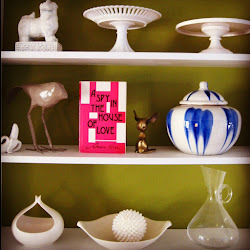 I love your paper chandy... so chic. Just ran across yoru blog, how did I not know about it before. 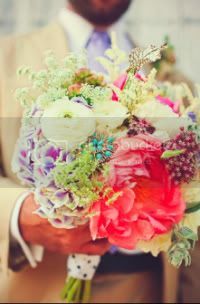 I adore your use of color, whimsy and visual interest both in your home and what you used for your wedding. So unique and so out of the box! adore! Another fellow color lover! Tried following you but could not find a follow button. Please visit my interior decorating, event design and art photography page when you get a chance and hopefully become a follower:) Thank you! 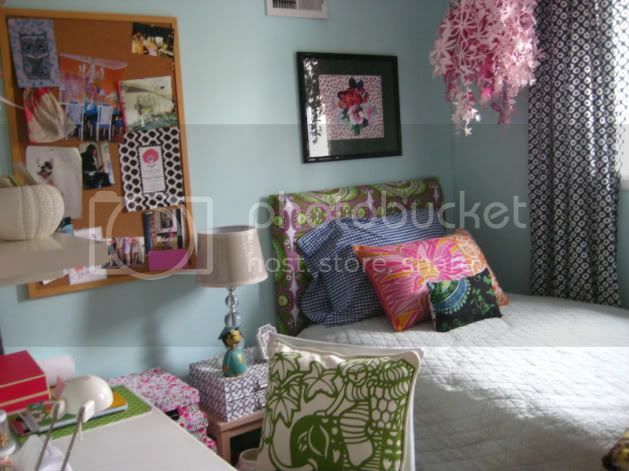 That looks exactly like my guest room...twin bed on one side, and desk on the other. Except mine isn't chic and fabulous like yours! It's currently a dumping ground! 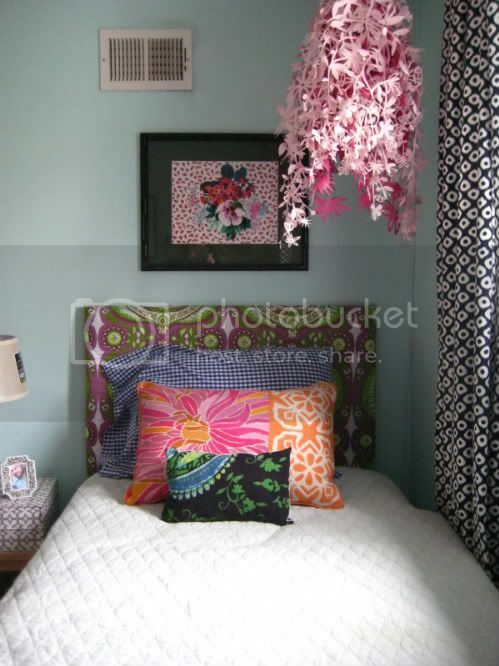 I love your mix of patterns in this room, such a fun and bold choice.